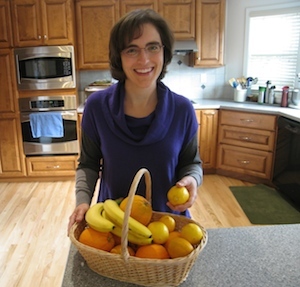 Mary has been interested in health and nutrition since she was a teenager. With a family history of the “big ones” (cancer, heart disease, stroke and diabetes), she read up on the benefits of avoiding red meat and went vegetarian in 1992. She raised her two boys as vegetarians as well. After learning about the link between breast and ovarian cancer and milk products, she gave up dairy and became vegan in 2010. She appreciates that a plant-based diet is not only healthy for humans, but compassionate towards animals and the environment. In 2015, Mary earned a certificate in plant-based nutrition from the T. Colin Campbell Center for Nutrition Studies. Mary is also a co-founder and energy healing practitioner with Soul Healing Studio. In October 2012, Kathy and her family’s life took an unexpected turn when her husband Stefan was diagnosed with aggressive prostate cancer. Through the amazing, overwhelming, and life-changing journey of supporting Stefan through his battle with cancer, Kathy has become a strong advocate for eating for wellness. Countless hours of research and networking led to diet and lifestyle changes that resulted in Stefan becoming cancer free without traditional treatments. Read their story, Our Journey with Prostate Cancer. Today, her family continues to thrive on a plant-based diet. 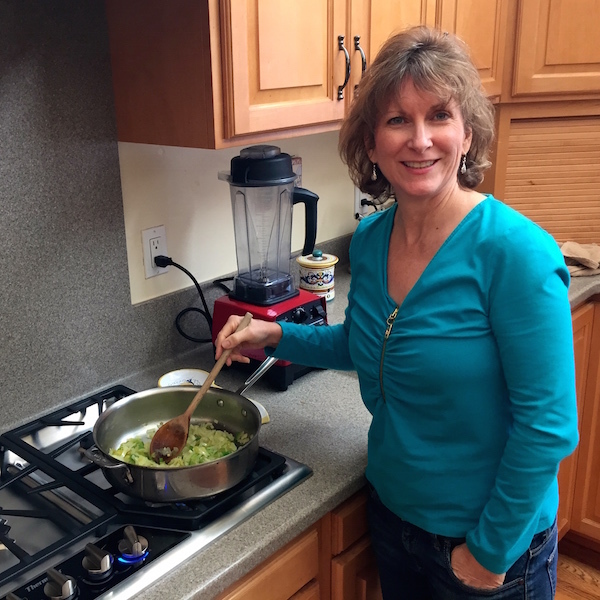 When not in the kitchen, Kathy enjoys, reading, writing, hiking, and helping others on their journey to wellness.